Kualifikim historik. Shqiperia ne fazën finale? Nuk është hera e pare! 11 Tetor 2015: Armeni-SHQIPËRI 0-3. 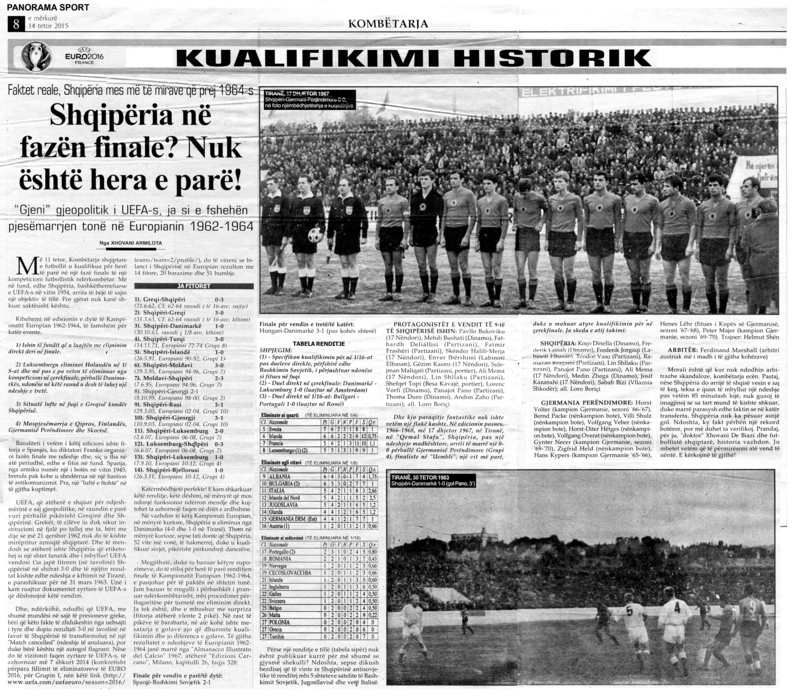 Kombëtarja në fazën finale e një kompeticion e madhe futbollistike! Një ditë e paharrueshme e pritur mua për 35 vjet! RSSSF  The Rec.Sport.Soccer Statistics Foundation. Albania had been invited to play in II World Cup 1934, but owing to organizing difficulties it didnt take part. Albania is one of founding members of UEFA in 1954: it took part for first time in European Championships in 1963, for edition 1964. 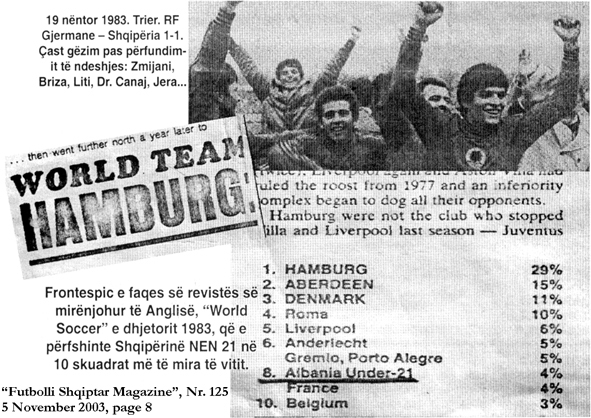 First participations  1946, Balkan Cup for National Representatives; 1961, Balkan Clubs Cup; 1963, Olympic Games eliminatory round: for Tokio 1964; 1962-63, Champion Clubs Cup; 1968-69, Cup Winners Cup; 1971-72 (forfaited), 1981-82 (played), UEFA Cup; 1999, UEFA Intertoto Cup; never in Inter-Cities Fairs Cup.